Sit at Casey's Corner with your hot dogs, or enjoy dinner at the Steakhouse, while listening to the pianist tinkling the ivories, with a Halloween twist! 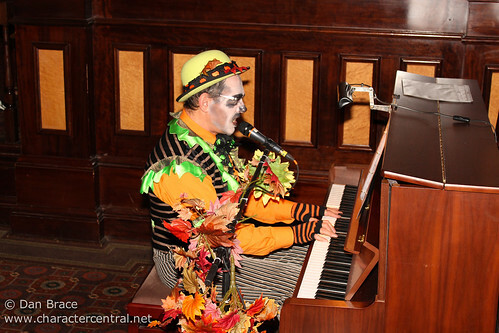 Disneyland Paris shocked everyone for Halloween 2012 when they brought back the Main Street Pianist, who had been gone for literally years and years. The pianist played Halloween tunes at Casey's Corner on Main Street, and inside the Silver Spur Steakhouse in Frontierland. He was incredibly popular, and it was expected he would return in 2013, but sadly, he did not. We can only hope that for some reason he was just unavailable this year, but will be back in the future, as it was an awesome addition/return to the park!